After taking a road trip to Asheville, NC this past summer, Steve & April McCrumb, owners of Catching Fireflies were inspired to introduce a new concept store, Yellow Door Art Market, that would allow local artists to set up their own permanent mini-gallery. In a matter of five weeks, McCrumb found 70 interested artists and filled all the available spaces in the 3600 square feet storefront on Twelve Mile. 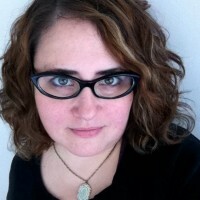 “There are so many talented artists & hip crafters around Detroit that are looking for an outlet to sell their wares other than art fairs & online.” says McCrumb. Since there is a variety of space sizes and monthly rental rates, Yellow Door is an affordable option for creative entrepreneurs who make goods ranging from jewelry, photography, clothing, handbags, paintings, candles, soap, pottery and more. “We want Yellow Door to be a place where you can find artwork for your home, splurge on something for yourself or pick up a last minute gift.” says McCrumb. In addition to being a great outlet for artists, Yellow Door will also be an exciting shopping adventure for Detroiters because not only will they find unique and interesting goods, but all the money spent at Yellow Door will benefit the creative people living right here in Michigan. “People are really excited about it. We already have over 450 likes on Facebook and we haven’t even opened yet!” exclaims McCrumb. 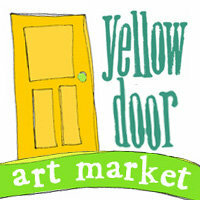 Yellow Door Art Market will make its big debut Saturday, November 13 at 10am with lots of festivities including free artist-made goodies to the first 100 people through the doors; live music & Michigan made sips and snacks served throughout the day. Why: Yellow Door was created so artists would have year-round opportunities to market their work & also so Detroiters would have a place where they could buy a large variety of amazing handmade wares & know ALL their money spent there is staying in the state.